How to change JioFi user id (SSID) and jiofi password: Suppose you have don’t have the 4G phone, and you have to experience a High speed internet i.e., speed of 4G than you can get the 4G speed with the JioFi device. What is meant by JioFi (JIO Wifi Router) device? Jio is an LTE mobile network operator in India. It is owned by reliance industries. Among the products that are offered by the Jio, JioFi is one among them. It is the portable broad band device by reliance Digital. JioFi device allows 20+ users and mobile devices to access jio’s 4G high speed internet connectivity and create a personal Wi-Fi hotspot. JIOFI 2 & JIOFI 3 Wifi router hotspot devices can change password custom password by submitting online http://jiofi.local.html. The Reliance LYF powered JioFi device can connect a minimum of 15 devices + 1 USB connection, with some models having the ability to support some more connections. In the way of using many devices we would face the low speed of internet. To disconnect all the devices that which are connected to your JioFi device is simply to reset the user name and password. In this we provide you the information about how to change/reset the user id password of your JioFi device. Change JioFi WiFi Password And SSID In JioFi Hotspot Device @ http://jiofi.local.html full detailed procedure was provided below. Just follow these steps through which you can change the username and password. To reset your user name and password of your jiofi device, first of all you have to do is connect your mobile phone/laptop with your jiofi device. Next open your browser in your smart phone/laptop and type http://jiofi.local.html/ in the address bar and press enter. After that jiofi’s admin webpage will open in your browser in that click on the login option on the top right corner of the page. Login with your credentials, in that select settings just below the Jio logo from the top. In that settings select wifi settings option. Next delete the present user id (ssid) and password and enter your own user id and password. After that click on the apply button on webpage and press save option. Select JIOFI “Wifi” in your Mobile / Laptop enter you new password and reconnect it. 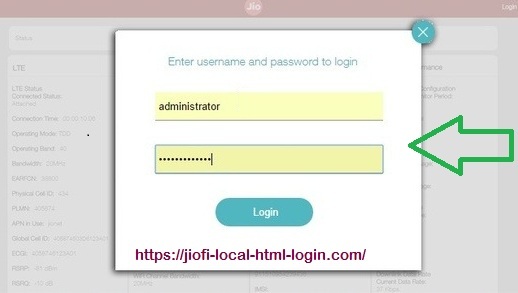 By following the above JioFi – How to Change JioFi Name (SSID) and Password procedure you can change your JioFi user name and password & SSID also. By changing the login credentials (login & password ) the devices which are connected to your jiofi hotspot are disabled or disconnected. After that reconnect your smartphone Wifi (or) Laptop Wifi with jiofi 2 / 3 Device with your new jiofi password.